K. Askar, L., A. Tayeh, B., Abu Bakar, B. (2013). Effect of Different Curing Conditions on the Mechanical Properties of UHPFC. Iranian Journal of Energy and Environment; previously called: Iranica Journal of Energy & Environment, 4(3), -. Lawend K. Askar; Bassam A. Tayeh; B.H. Abu Bakar. "Effect of Different Curing Conditions on the Mechanical Properties of UHPFC". Iranian Journal of Energy and Environment; previously called: Iranica Journal of Energy & Environment, 4, 3, 2013, -. K. Askar, L., A. Tayeh, B., Abu Bakar, B. (2013). 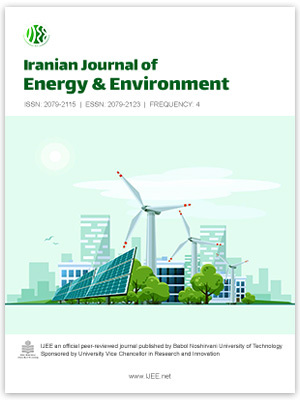 'Effect of Different Curing Conditions on the Mechanical Properties of UHPFC', Iranian Journal of Energy and Environment; previously called: Iranica Journal of Energy & Environment, 4(3), pp. -. K. Askar, L., A. Tayeh, B., Abu Bakar, B. Effect of Different Curing Conditions on the Mechanical Properties of UHPFC. Iranian Journal of Energy and Environment; previously called: Iranica Journal of Energy & Environment, 2013; 4(3): -.